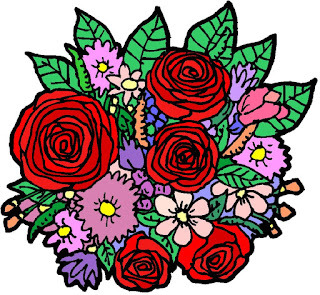 If ever anyone deserves a bouquet and thanks from all of us it is you Melanie Jean Juneau. Not only do you manage this particular website so well on our behalf, but you also run a number of other websites too as well as contributing to various other Internet sources. In particular, I am very grateful for the support and encouragement I receive from you in promoting my posts on Facebook and Google+ regardless whether the subject matter is one on Christianity or a more flippant humourous one.